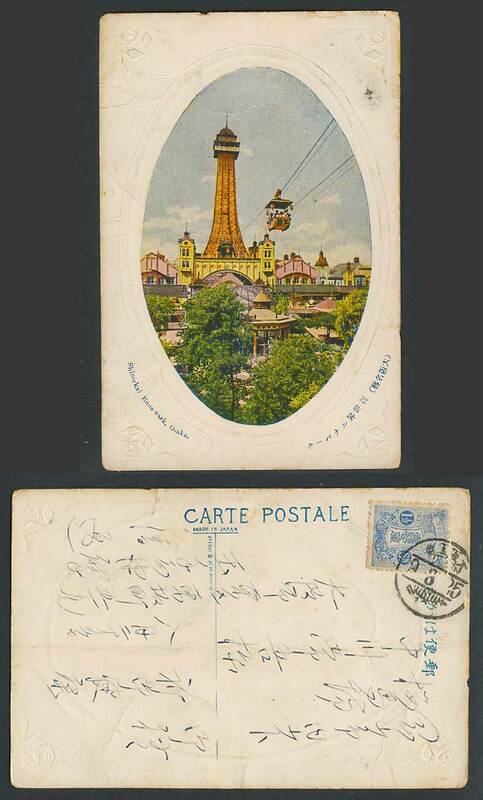 Vintage Japanese Old Colour Embossed Postcard. 1925. Japan. Shinsekai Runa Park Osaka. Tower. Cablecar Cable-Car. Bandstand Band Stand. 大阪名勝 新世界.